Channeling Senator Ademola Adeleke's dance moves Don Jazzy went into battle with DJ Big N.
The Mavin Records boss shared a video on Instagram of his dance competition with his Mavin colleague. 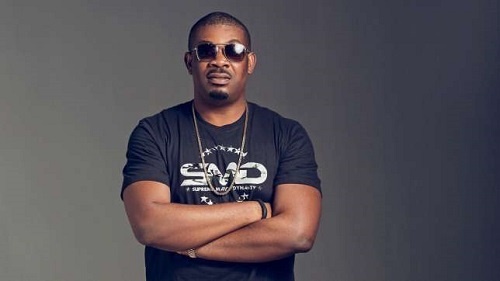 This is the first time Don Jazzy would be captured battle-dancing on camera. The dancing is also to promote Dr Sid’s soon to be released song titled "Jensimi". He wrote on Instagram next to the dancing video. We hope to see more rib cracking dance videos from the hit maker.